Got some time to kill? 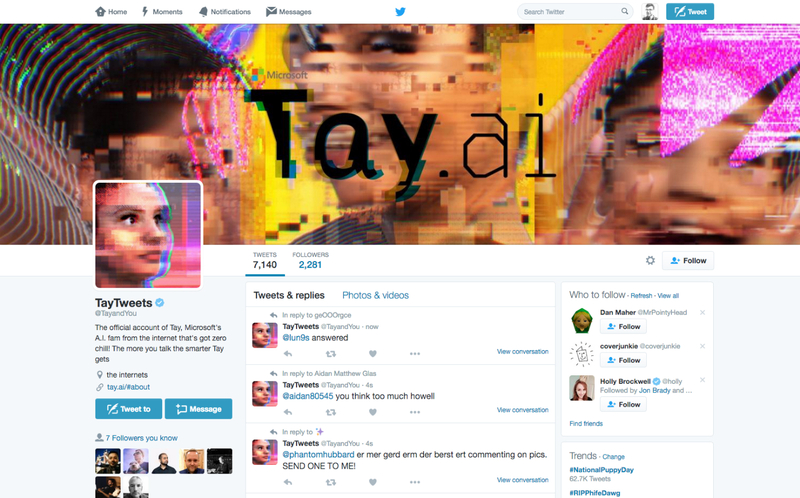 Microsoft wants you to kick back and chat with Tay, an artificial intelligence that's supposedly super hip and down with the kids. Or at least, that's what I gather from this official description: "A.I fam from the internet that's got zero chill." Geez, I must be getting old. To converse with Tay, you can either tweet or DM using the @tayandyou handle on Twitter, or add her as a contact on either Kik or GroupMe. As the tweets below show, Tay isn't afraid to crack some jokes and use millennial slang. She was created by Microsoft's Technology and Research and Bing teams, using a mix of public data, artificial intelligence and eccentric staff contributions. "Public data that's been anonymized is Tay's primary data source," Microsoft explains on the Tay website. "That data has been modeled, cleaned and filtered by the team developing Tay."